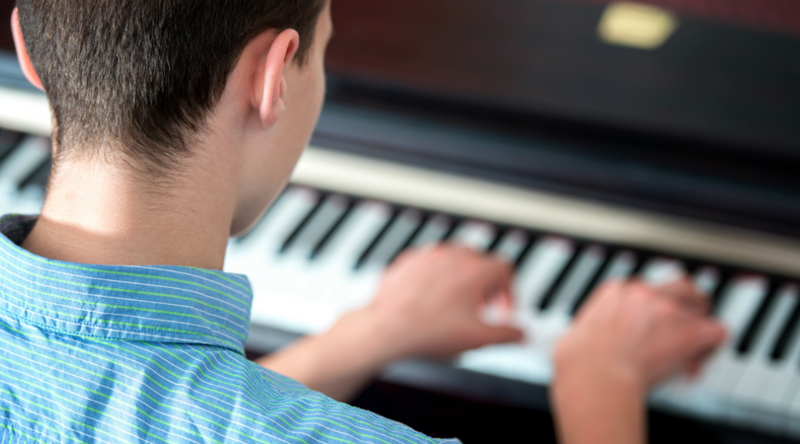 The Achievement in Music (AIM) program (currently only for piano) consists of an AIM Syllabus and AIM Festivals, sponsored by local associations. The AIM Syllabus is a curriculum outline, promoting a comprehensive approach to the teaching of music. Twelve different levels of achievement are outlined for five areas: repertoire, technical study (or etude), sight playing, keyboard skills, and theory (written & aural). The different levels detailed in the Syllabus provide the foundation for AIM Festivals. The syllabus can also be useful to an individual teacher or student who wants a sequenced, progressive outline for teaching or learning a particular area. AIM Festivals provide a musically well-rounded goal for each year’s study, as well as a written evaluation of a student’s performance skill and musical understanding. For you would like information on starting an AIM Festival in your area, please contact Jodi Thomas, AIM Coordinator, and Chair. Student entry fees: Set by each local association; contact the local AIM chairs for more information (see “Festival Sites” below). The Achievement in Music Syllabus is available for purchase in PDF format. Please note that IMTA no longer provides paper copies of the AIM Syllabus. Purchase of the syllabus authorizes the printing of any or all of the syllabus for the teacher’s personal use, and of specific sections of the syllabus for students as they prepare for their auditions. The member rate for purchase of the syllabus is $20 (please include your MTNA membership number on your check); the non-member rate for purchase of the syllabus is $40. Download by clicking on each link. you may download levels 1-12 as one PDF or each level separately.